These caps feature a tamper evident button that will pop up when the airtight seal has been broken. These glass jelly jars include red metal plastisol lined caps. 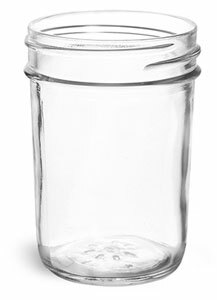 When properly heated and cooled the liner melts and solidifies to the jar creating an airtight seal. 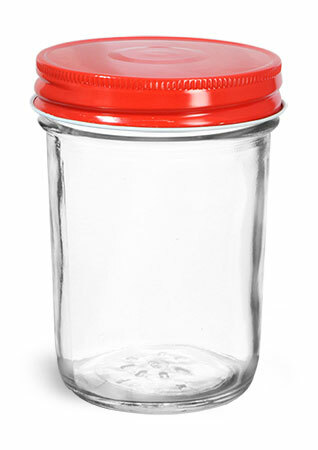 These glass jars are perfect for canning your homemade jelly and jam! As always, test your product to ensure proper compatibility.